Retro and futuristic at the same time. 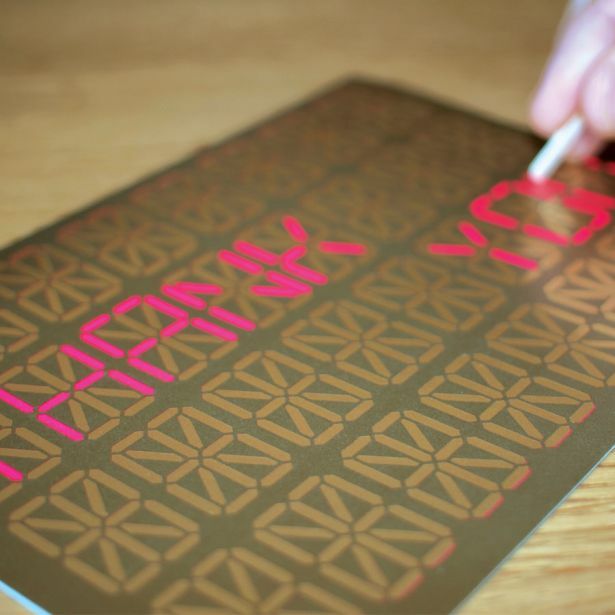 Scratch away the gold foil to reveal the pink neon liquid crystal display font. Create your own messages! 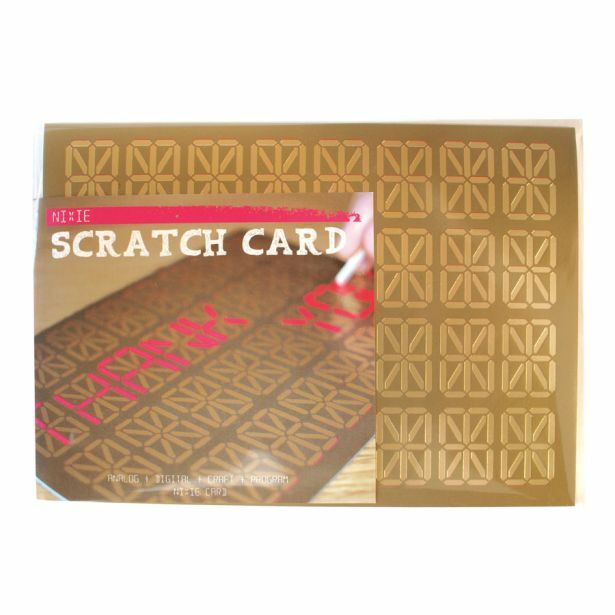 5x7" folded blank card, scratch tool, and envelope.